When you think of jojoba oil, hair growth might not be one of the benefits that comes to mind. But when you use jojoba oil, your hair can benefit just as much as your skin can! Tip: Skip to the end of the article to see our top picks! 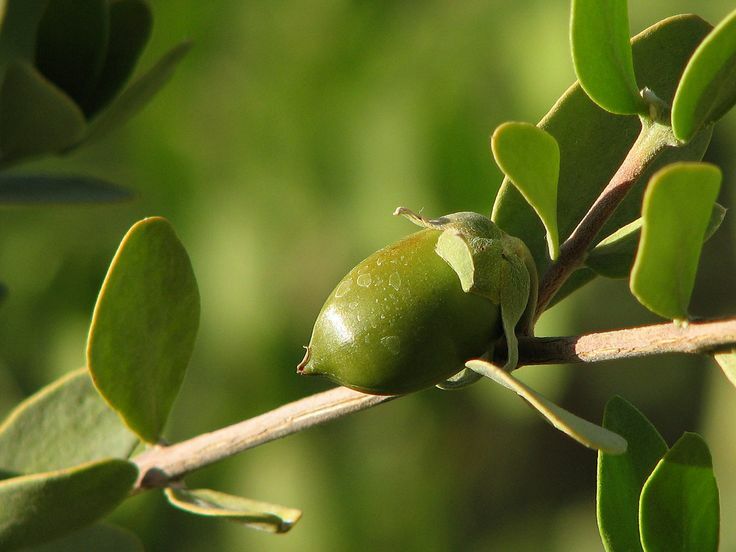 Made from jojoba seed, jojoba oil is actually a wax ester, rather than a true oil. The esters are very similar to those found in human skin, which is why it’s such an effective beauty product. It’s also full of antioxidants, vitamins and essential fatty acids that nourish the skin and hair. The wax esters of jojoba hydrate and nourish the skin cells of the scalp deeply, stimulating hair growth. The antioxidants, vitamins and essential fatty acids protect both the hair and skin, which helps to maintain existing hair. When you massage oil into the scalp, it stimulates blood flow to the area, bringing more nutrients and encouraging hair growth. There are plenty of ways that jojoba oil can be used to support hair growth. These are just a couple of options you can try today. Use jojoba oil as a gentle shampoo to cleanse away dirt and oils, while nourishing your hair from root to tip. Simply pour a few drops into your hands, and use as you would your normal shampoo. But remember – it won’t foam up like commercial shampoos! For deep hydration, try jojoba oil as a hair mask. Comb warm jojoba oil through the length of the hair, and leave overnight for optimal results. For best results, jojoba can be massaged into the scalp directly. This is particularly important if you have a dry, sensitive scalp that may be contributing to hair loss. 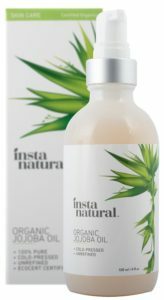 If you want to hydrate your hair, scalp, and skin, InstaNatural’s jojoba oil is a natural choice. This rich certified organic oil is pure, cold-pressed and unrefined, so you get all of nature’s goodness in every drop. It comes with a lifetime guarantee – you don’t get better than that. This jojoba oil is perfect for rehydrating dry, split hair and flaky sensitive scalps. You’ll be growing more lush locks in no time. 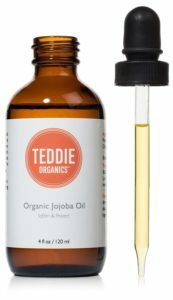 For gorgeous hair and skin, you can’t go past this luscious jojoba oil by Teddie Organics. It’s cold-pressed, organic and 100% pure, so you know you’re giving your body the best of the best. In fact, they’re so certain about the quality of their oil, they offer a 100% satisfaction guarantee, or your money back! This jojoba oil is ideal for dry, damaged hair that needs some tender loving care. Reverse the damage of straighteners, hair dryers, and curling tongs by nourishing your hair back to beautiful. So if hair growth is your aim, get yourself some jojoba oil today. Your scalp and hair will love the hydration and nourishment it offers.